Does the new LTO 5-year license mean longer process times? Musn't grumble, give thanks for even small blessings. Now that the LTO [Land Transportation Office] is rolling out the new system for plastic ID card license renewals, we can finally breathe a collectively sigh of relief. But not just yet. As the LTO rolled out the new plastic card issuing system more than a month ago, what used to be a predictable transaction time of half an hour to an hour, have become, in some cases, a 5 hour ordeal. 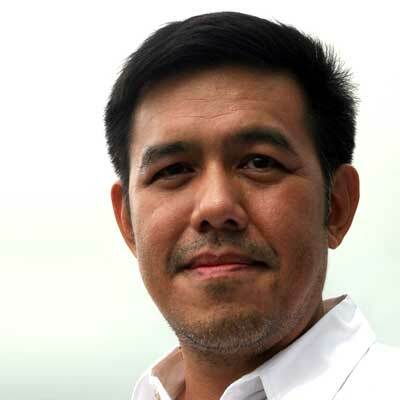 Yet, there were also accounts, mostly at malls with good internet connections, that clocked in at the usual hour or less from submission of medical exam to the release of official receipt and the new ID card. But in many cases, the LTO license holder's common puzzle is this: For most of the GMA years, under the 3-year license term, license renewal has always been easy, averaging less than an hour for all the LTO offices around the country. Spoiled with such private sector level of customer service, LTO catered and catered well. At that time, the law required drug testing, but LTO was realistic enough to introduce the drug test within the one-stop shop parameters of an LTO agency locating accredited doctors and labs nearby. Naturally, LTO could not require an executive check up for each licensee renewal. The expense and time alone will make the med exam a hot bed for corruption and fakery. A quick but targeted urinalysis was all that was required. Over and done in 3 minutes. And it was good enough to ferret drug users who have not been clean for the past 30 days. A government bureaucracy catering to customer service? LTO seems to pioneer in such. Emissions Testing? Ever since the time of Pres. Marcos, LTO, then known as the BLT [Bureau of Land Transportation], was supposed to set-up MVIS – [Motor Vehicle Inspection Service] centers all across the country. Its mission was to check not only for roadworthiness but also emissions. Funded by bi-lateral institutions, it started and petered out for all of 40 years. When an emissions standard law was mandated, LTO then encouraged emission testers to set up shop near LTO offices, offering quickie emissions testing for all kinds of internal combustion engines. But there was cost to this pleasant “quickie renewal” and convenient idyll, a big moral cost. The CoA [Commission on Audit] every bureaucracy's party pooper, kill joy and reformatted STASI [Secret Police of former East Germany], makes no bones about it's remit: to check if every contract and transaction government agencies entered into 1. are the least disadvantageous to the people's money; 2. All bids are above board, follow the law 3. All bidders are qualified 4. enforces the level playing field for all bidders and contractors. COA discovered that for decades, LTO had never conducted a bidding for the supply of the plastic cards. LTO stuck to the same supplier, Amalgamated Motors [former Land Rover and Leyland bus distributors] all these years, by just renewing and renewing the supply contract every year. CoA said “violation”; LTO should have conducted a new bidding. And this is when things started getting messed up. LTO called for a new bidding, a winner was selected but it wasn't as simple as supplying plastic blanks. The ID card making machines were not compatible and hence, license holders started getting ID cards that look more fake than the “genuine” fakes and lasted just a little bit longer than the paper OR [official receipt]. While this was going on, unmanufactured renewed license cards became a huge backlog. Not only that, the explosion of motorcycle sales, meant more and more new license applicants for student permits started to pour in. LTO started groping around for quick fixes, but none were found as the mountain of unissued ID cards piled higher. A new plastic supplier and ID card making machine was needed, hence another bidding. Meantime, LTO was already planning for the deluge of license applicants and renewals of a fast growing population demanding mobility in a fast growing economy. By the close of the Pnoy term, LTO announced the impending roll out of the 5-year license, which was to coincide with the new contract for cards and machines. Parallel to this, government, while pushing for a National ID system, wanted to enhance the “value” of government issued ID and since the license was one of them, LTO was to add more data gathered for each licensee. With such a data mine, LTO thought it fortuitous to even extend the renewal of the 5-year license to 10 years, if the holder was violation free for the 1st 5-years. Expecting more renewals and student permit transactions as per growing economy/population, stretching the validity to 5 and 10 years will hopefully decongest the offices and electronic data processing portals of the LTO. With the burden of this history in mind, we found ourselves one humid noon in October, at the Angeles City LTO, applying for license renewal of what is to be my last 3-year license. LTO's customer service desk has happily dispensed with any official form filing for the renewal itself. As always, the nearby accredited doctors were the first stop. The medical tests themselves have leveled up in sophistication; all computerized with the color blindness, vision and hearing tests done by desk top and large flat screen. The medical certificate is good for 15 days. Note to self: If I have broken hours in a day, I can get the med exam certificate one day and return to LTO, within the 15 day validity of the exam results and apply for renewal. Make sure to apply at least 2 weeks before expiry on birthdate. Back to friendly LTO man, who attached an official form, my plastic ID and my queue number # 079. At 1300hrs. I was the 79th license renewal applicant. 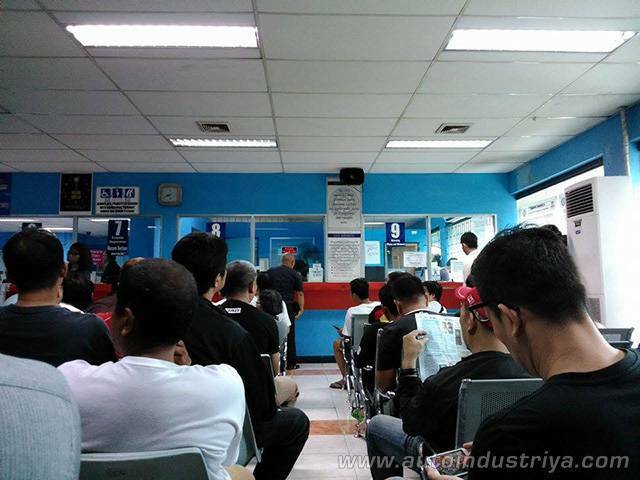 LTO uses a queuing system similar to banks – you get a number, where the alpha code – in my case LR -license renewal – identified the series of windows you will go to be processed. Other transactions had alpha codes like SS, SP, RR, etc. possibly student permits, transfer address or whatever. Then there was this application form of boxes that asked to filled up with info. From the box count, I could tell that the new license is asking for 100% more data to filled viz. the former 3-year license. So I now popped friendly LTO gent the question “How long will it take me?”. To which he pointed to the air con anteroom; the airport style bench seats were full, and it was standing room only. The gent said, its been a long time since they had such crowding as most are waiting for their licenses to be issued. It was LTO Angeles's first week with the new 5-year license card system. And the lines were long. As I sauntered to the waiting area, I asked the people exiting after window 4 – the last window where the licensee's photo is taken, the official signature electronically rendered, the biometrics of all fingerprints recorded, the OR issued and the card given. Mr. LR012 took 4 hours. Mr. LR024 took 5. So these guys have been here since the office opened in the morning. This was around 1400hrs already. Doing the Math, I figured that I can leave for a few hours, do something else and comeback before the LTO gates close just before 1700hrs. And so I did. By the time I got back, Window 4 was dispensing with LR057. By 1700hrs, no new applicants were allowed entry and the LTO staff buckled down to clear the backlog for as long as it took. As per the digital display board, the last license renewal accepted for processing was LR122. I looked around the chilly anteroom – thank God, the management didn't turn off the air con and lights just because it was past closing hours – and I counted easily 20 other applicants waiting for their turn at Window 4. I then asked another LTO gent this question: In case you cannot wait for you turn at Window 4 but are already paid at Window 8, can you get the OR and come back another day for the biometrics? He said, sure – just go to Window 4 to claim your receipt, but keep the additional data sheet with you as you will need it when you come back. Your renewal application will now be bunched with the “backlog”. Which, in Angeles City, means you come back only on a Saturday, where they process such backlog transactions on Window 4. But you will also be bunched up with all other license renewals before Sept 2017, who will need to do the whole Window 4 bit – encoding of additional data, new photo, biometrics, signature, etc. He said that Saturdays only for backlog is still to be tried out, but they were working on a system where the “backlogs” can come on a regular day and establish a queue only for window 4. Anticipating my next question, he said 40% of the LR122 applicants, opted to get the OR and come back another time for the full Window 4 treatment. With that I finally got my 2017-2022 plastic ID card at promptly 1830hrs or 5 and half hours after the med exam. Those left behind were looking for their final turn at 2030hrs. The LTO wasn't going to close until they have issued the plastic IDs to all those waiting inside. Comparing notes with friends in Metro Manila; most of those who renewed in Malls with fast fiber optic internet got in and out, plastic ID's in hand, within the half hour/1 hour standard of the previous 3-year license processing benchmark. Agencies with poor internet connections, like P. Tuason in Cubao [not all LTO agencies have access to a fiber optic network] waited longer for transactions with the main LTO computer in East Avenue and posted licensee wait times of up to 5 hours. To give the LTO its due, we established some simple benchmarks and breakdowns on the time elapsed for each transaction. Window 2, submission of old plastic ID takes less than a minute. It doesn't take more than 20 minutes for this window to be manned sporadically to accept and process batches of applicants for processing within the LTO's transparency glass cage. After 20 minutes, one is called to Window 3 to verify applicant identity and record a photo of your presence. The next step is to go to Window 8, the cashier, for payment of the fee. That gap took about 40 minutes from the time I left Window 3. I suppose this time gap between Window 3 and Cashier Window 8 is when the LTO Agencies check the LTO Main computer records for any outstanding and unpaid violations. But nothing beats the long wait from payment at Window 8 to ID card processing at Window 4 : 3 ½ hours wait for my turn for a 10 minute procedure to exit with OR and new plastic card. Being unfamiliar with what transpires from payment to processing, I have no guesses for this long wait. At this point, barring poor internet connections, the problem will always be the main computer at LTO East Avenue. The upgrading of this main computer to process lots of data and to be enabled to do more than tracking violations, registrations, stolen cars and records, etc. has been a still born process since the FVR years. The contract to upgrade the LTO system was won by STRADCOM then. Unfortunately, STRADCOM's work has been subject to fits and starts as losing bidders and oppositors have challenged them in court. In the meantime, many of STRADCOM's initial upgrades were commissioned and working but remain unpaid. And this harassment of STRADCOM stymied its effort to modernize LTO. These conflicts reached the pinnacle during the early Pnoy regime when STRADCOM was practically kicked out, paralyzing LTO operations. Attempts to take over ended in wasted trials on incompatible systems and we are still dealing with an LTO with a mongrel system, overtaken by the speed by which computer technology advances. But LTO has to keep working through panaceas and patch ups, because the country cannot function without a working LTO. The only way to keep the LTO working is to set up a parallel system beside the existing so that LTO will not be without back-up. It's still early familiarization days at LTO Angeles. The Saturdays only to process backlogs; i.e. who still need to do Window 4 to get their plastic card- is only a trial remedy. They are studying all options, including a dedicated window and separate queue for backlogs [which will need duplicating machine and equipment of Window 4] so they can be serviced ASAP all working week. In time, the agencies will get used to the new system and when the backlog clears – which seems to be quite a long wait – we will expect normalization, until the next surge comes. That may not come at all, because if you keep your first 5-year license clean for the whole duration, your next renewal will give you 10-years license validity. Worth staying clean if only to avoid any surprise surge queues. We welcome readers sharing their experiences and which agency in the comments portion but please limit you narration to those applicants for the 5-year license i.e. time elapsed from submission of med exam to exiting the premises with OR and ID card in hand. Experiences with Backlog claiming are also welcome. The Inside Man takes a look at the progress of traffic a year into the Duterte Administration. Will we see less stressful travel soon? With billions earmarked for Metro Manila traffic alleviation, 2 projects will not only get the bulk of the finance and the headlines, but also the bulk of the headaches.